The games of discourse and power give expression to the interests, needs and desires that make us the diverse people we are, recognising difference as a source of human flourishing which Education celebrates. Yet Education is variously challenged and threatened in countless situations, on a global scale and in different ways. What is at stake is our culture of fundamental human rights and our commitment to the affirmation of personal and collective human dignity. Education is fundamentally engaged in that purpose, and may be defined as the process by which the conditions for the development of personal and collective human dignity are created. DPR 2018 carries forward the endeavour to promote emancipation and to challenge the processes of devaluation and obliteration of difference, by opening a space to analyse how such processes are concealed, disguised and even positively encouraged. At the same time, DPR 2018 analyses and challenges the practices through which difference is erased, disfigured, silenced, repressed, and annihilated. We open this CALL to all of those interested in developing forms of resistance to “indignification” and developing ways of striving for Dignity through Education. We exhort proposals for presentations of papers (single or joint authors), symposia, workshops, posters, exhibition work and performances. 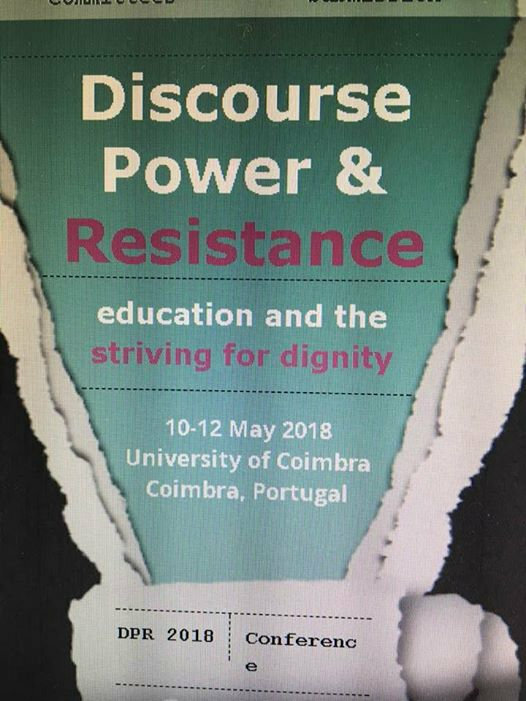 All information on submission and registration can be found on dpr18coimbra.wixsite.com/dpr18.